WASHINGTON (AP) – The World Bank and the Inter-American Development Bank are providing Argentina with three loans totaling more than $1.8 billion, aiming to help the South American country cope with financial difficulties and support citizens most at risk. The World Bank said Thursday in a press release that a first loan of $500 million will go toward budget needs and a second loan of $450 million will seek to protect 250,000 children by 2020. “This support to Argentina, especially focused on the most vulnerable sectors, comes at a crucial moment for our country and is a clear sign of confidence,” said Nicolas Dujovne, Argentina’s minister of finance. 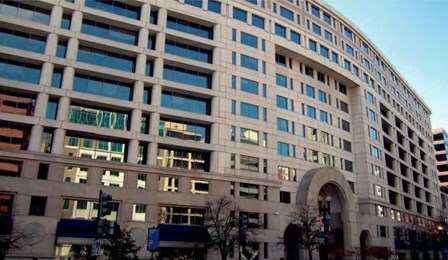 The Inter-American Development Bank said it approved a loan for $900 million two-thirds of which will be disbursed this year to help at least four million people. The announcements come a week after the International Monetary Fund increased a loan it had granted to Argentina in June to $56.3 billion. Argentines have been hit by a sharp depreciation of the peso amid double-digit inflation, with the currency losing more than half of its value this year.